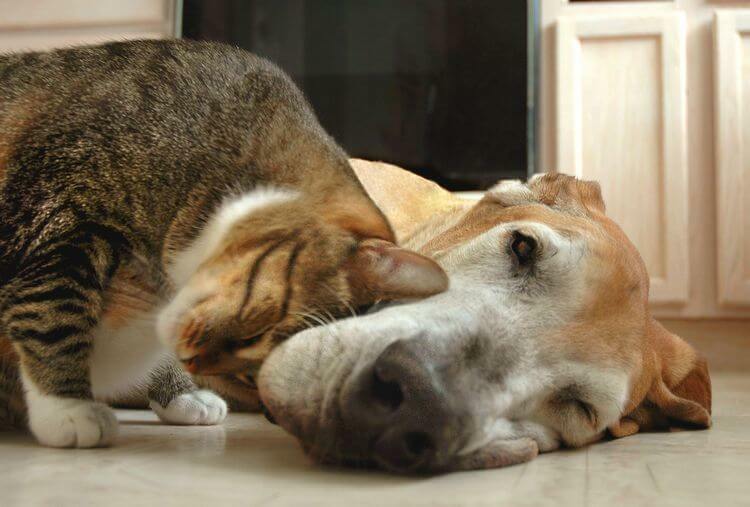 Home » Cute Pet & Animals » Know Your Furry Friends: How Cats Show Affection? Winter is the coldest time of the year and we tend to feel like hugging somebody or… something warm? Also, this is especially a great time for pet owners as it is always heartwarming to hug or have our lovely cats or dogs (or both, if possible) on our laps. But since we already know how dogs show affection to us “hooman”, it’s time to get to know our kitty cats better! So with no further ado, let’s see how cats show affection? 1. How Cats Show Affection? 2. How Can We Show Affection to Cats? So before jumping in several common behaviors from our beloved cats, it will be a good idea to understand the general nature of cats first. For people who are not familiar with raising cats, cats and kittens have a huge difference than dogs and puppies. While most dog breeds tend to cling to human and try their best to please their masters, cats are more independent. Many happy dogs tend to have big smiling expression with big round eyes on their look. Their smiles when looking at us look so cute and adorable that there is hardly any person who can resist their look (no wonder why ladies tend to be attracted by these guys). However, unlike dogs which show their affection through their facial expression, cats show their affection with eyes. Cats were originally natural hunter; therefore, they have exceptionally strong sense especially with their eyes. 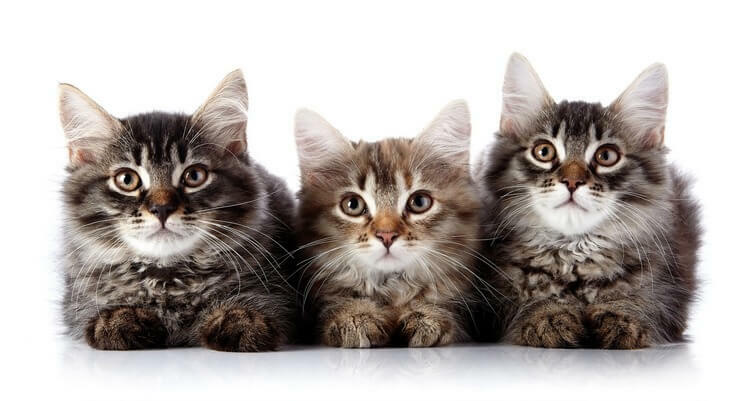 Normally when a cat stares without blinking at a stranger or another cat in a long period; that means the cat is showing cautious or aggression. So what if our cat looks at us and slowly blink? It means a really good sign. Her slow blinking shows that she feels comfortable and safe. She knows that we are no threat and she trusts us. 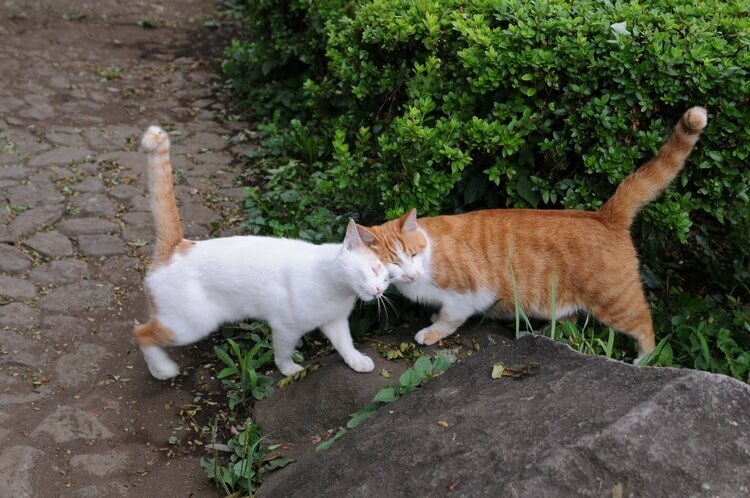 This cat’s slow blinking is also called as “kitty kisses” which is always a cat’s hint of her good will, safety, and comfort. Other interesting cat eyes behavior is looking with wide-open eyes. This is totally different from staring without blinking and this eyes behavior often show the cat’s friendliness, curiosity, and playfulness. Despite having different “terms”, these activities are quite similar in manner so we will group them in one place. Butting is also similar to rubbing, but instead of using her cheek, the cat gently head-butts us. While we human generally understand this as the act of affection and comfort, butting also means marking us with her scent. Well… the more prove for the cat that we “belong” to her. Unlike butting and rubbing, cat’s kneading is quite different. 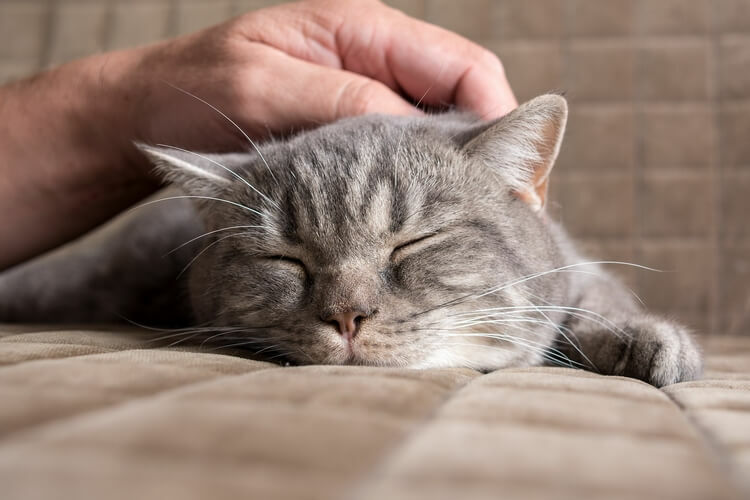 Kneading is the behavior in which the cat pushes her paws onto something like our body, beds, etc… There are several theories about this behavior, but currently the most popular one is that: Kneading is an inherited activity since the cat was just a baby. Kittens tend to push their paws onto her mother to drink milk. When the kitten grows up and stays with human, this activity still retains as their natural instinct. However, it no longer means that she wants to drink milk but rather, it shows her affection similar to the affection between mother and child. 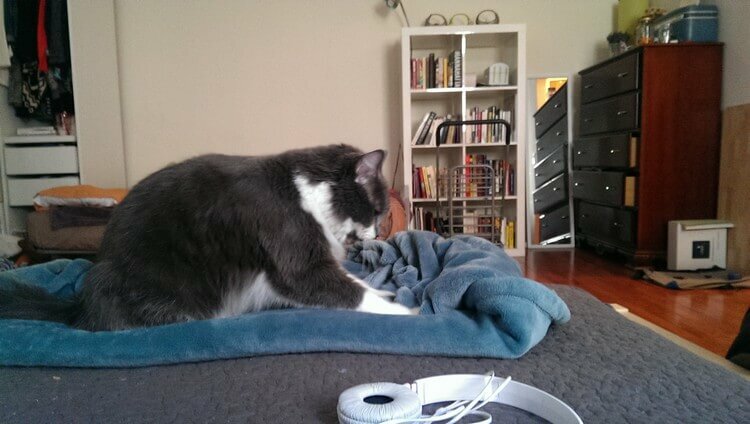 Of course as mentioned, kneading does not apply to human only, it also applies to other objects. Kneading is also like the act of marking the cat’s favorite spot or showing love (or “ownership”) towards her masters. Cats can generally self-clean by grooming themselves. That said, grooming is not only about self-cleaning, it is also a sign of comfort and safety. Furthermore, grooming is even the sign of showing mutual affection when the cat grooms her masters. 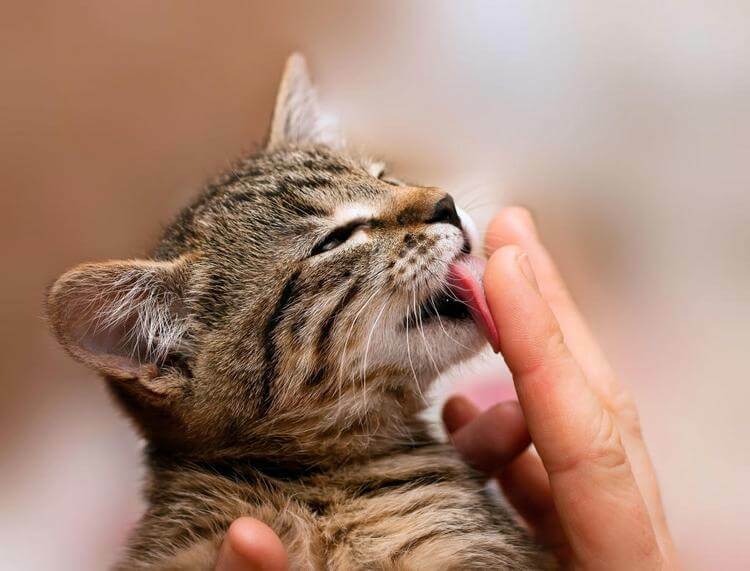 In feline world, cats groom each other to relieve stress and form bond. And naturally, when it comes to human, cats also groom us for the same reason. This activity is quite different between cats and dogs. In case of dogs, we tend to see them lying and show their belly. And sure these guys like belly rub when they expose themselves like that. But on the other hand, we will get bitten when belly rub our cats although they also lying around and show their belly. Many people probably got bitten due to the same manner and might think that the cat hates them. However, this is not exactly the case. In cat’s world, belly is their most vulnerable part on the body. And naturally, cats will protect that most vulnerable part especially while in the wild with many unpredictable threats. This also means that if our cat shows her belly, it actually means our cat feels comfortable with her current home and master. It also shows a strong sense of affection towards her masters. But still, she is not familiar with someone touching her belly so let’s not do that. Even in human world, we rarely touch other people’s belly, even if it is 2 close friends. Of course we do not bite our friend like cats but surely we will feel a bit uncomfortable. For cat lovers, this has probably happened to you a number of times. In certain occasions, we may see our cat returns with a mouse. Now okay, hold on! For those who get mad with this behavior, you should not scold your cat (or do any other aggressive behavior). We have seen few people who were quite angry when their cats “show” them a mouse. But, by all means this does not mean the cats hate us. Again, let’s not forget that cats were originally hunters, which mean their hunting nature still courses through their vein. When a cat hunts, for example a mouse, and brings that mouse to us, it means she wants to show her affection and her care for us. To some extent, we can say it is kind of… an act of gratitude for taking care of them. Of course besides mouse (which most people tend to dislike), cats can also give us other stuffs depending on different scenarios. Who knows what they can bring to us but let’s remember that: such gifting behavior is a sign of cat’s love and caring. Yes! This is the sound of heaven… well just kidding. But, this is probably one of the most favorite cats behaviors adored by us “hooman” (and we sure many cat lovers will agree on this). 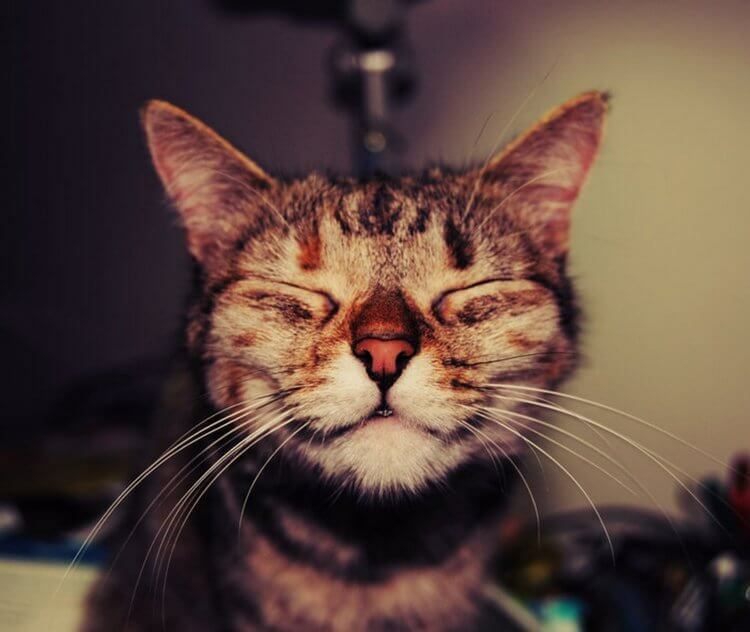 It is a general belief that cats purr when they feel happy. While this is true, cats actually purr in different situations like feeling scared. However in our human world, we mostly see they purr when they are happy. Therefore, seeing our cat relaxing and purring is a heavenly experience indeed. That said, purring seems not to be the cat’s way of saying “I’m happy”. Some scientists share that purring is more like “keep continue please, don’t go.” On the other hand, purring is also an activity of cat regenerating warmth and increases her health regeneration. How cool is that! Cats spend lots of their time sleeping. Sleeping is their way of resting but it also puts them in vulnerable state. This is exactly why if our cat sleeps with or besides us, it is a good sign of trust and safety. For us human, we can also consider such behavior is a sign of affection. And of course, who does not like relaxing with the cute cats? Similar to dogs, cat’s tail posture can tell a lot about their emotions depending on her other body languages. However, cats’ tail postures are greatly different from dogs’. For example, dog often shows their happy mood when their tail wagging (ideally leaning towards the right side). On the other hand, cat wags her tail to warn that she is in cautious state. Tail wagging can also hint that the cat is ready to attack. So what about cat’s happy sign? If the cat is happy, she will hold her tail straight up and the tip can twitch a little bit. The higher her tail is, the more confident and willing to interact she is showing. 2. How to Show Affection to Cat? So know that we have some of the most common loving behaviors of cats, it’s time to learn more about how to show affection towards our cat. We have known that cat’s slow blinking tells us that she feels safe and comfort. Interestingly enough, we can also do this towards our cat. By slow blinking when looking at our cat, she will also understand that we love her. If you still haven’t convinced, try it and you will be surprised. The basic idea is that cat’s body is pretty sensitive with things interacting with her body. There are parts on cat’s body which she likes to be pet, AND, there are parts which she hates to be touched. 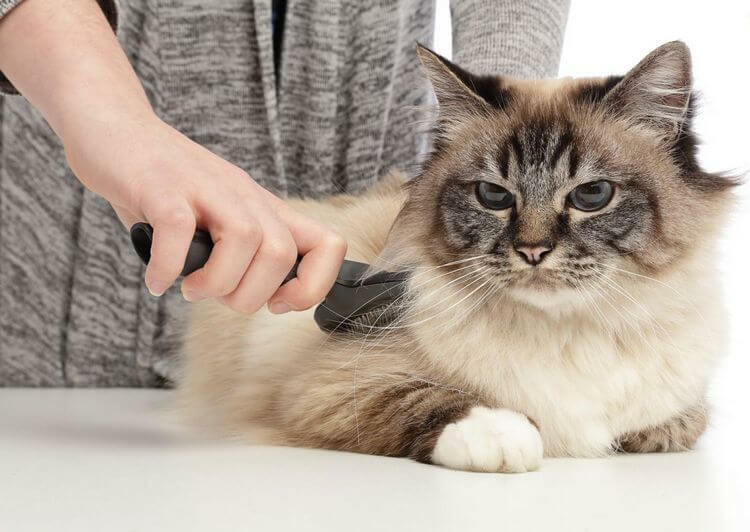 Each cat can have different favorite petting spots and therefore, it is our job as owners to observe and aware how our cat behaves when we touch her. Normally, cat prefers the area around her check, her chin, her forehead, and the back of her head. Cat also likes petting on the spot where her tail and her spine connect. 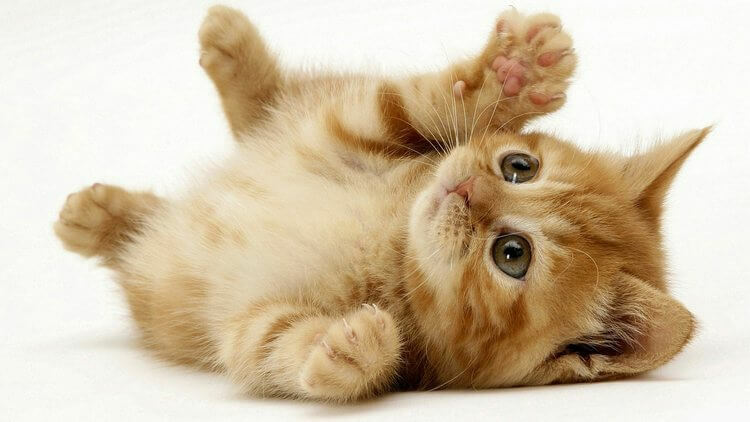 On the other hand, most cats do not like being touched on their paws or the belly. Again, different cats may have different reaction to those touches, but overall, it requires time of knowing each other and how well we know about our cat. One of the effective tricks shared by Jackson Galaxy is that: Instead of us petting the cat, let she guides us to where we can pet her. This trick may feel hard to pull out at first but with enough practices, we will soon see its tremendous effectiveness. For more details in petting/massaging our cat, we recommend checkout his video. Like what we discussed above, cats do groom each other in order to show comfort and safety. In terms of grooming with human, grooming is the sign of affection and forming bond. In return, we can also groom her back if she is willing to (of course not necessarily licking her); after all, that is one of cat’s languages of showing affection. Cats do sleep a lot, but that does not mean they are lazy. 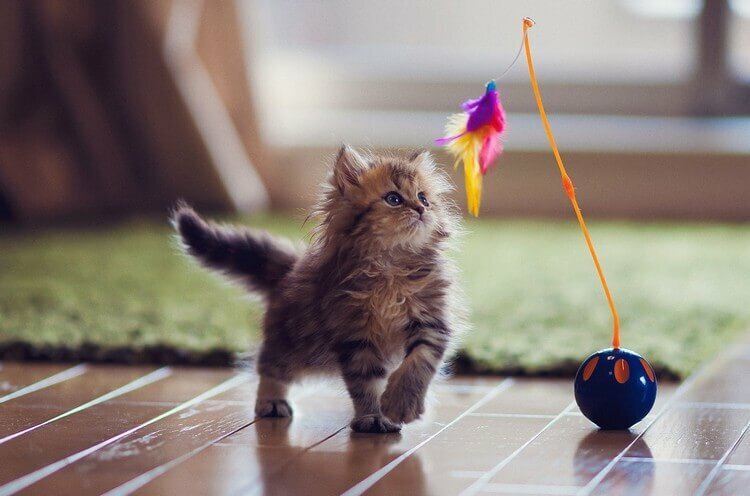 To some extent we can say cats are like balls of energy. 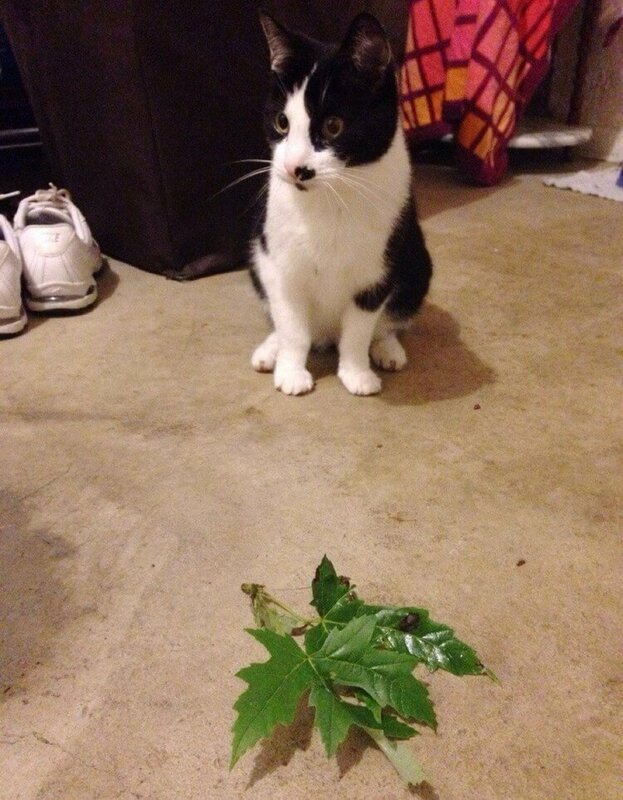 In the wilds, cats tend to reserve their strength for hunting and reacting to many unpredictable threats. However, in human world there is literally… nothing for them to do like in the wilds. Therefore, cats will need to do something else to release all that energy. Good thing is: there are lots of things we can do to have fun with our lovely cat. And it is highly recommended to spend time playing with our cat. It is a good way to form bond with the cat and also a good way to understand our cat. Since not all cats prefer the same games, we will need to play with them in order to understand her: what she likes and what she does not like. After all, who doesn’t like to enjoy having fun with adorable cats and kittens? And that’s it folks! What do you think about cat’s affection towards us “hooman”? Feel free to share with us and in case you are looking for more cat raising tips, we suggest checking out Jackson Galaxy’s channel. Thank you and stay tune for more news in the future! 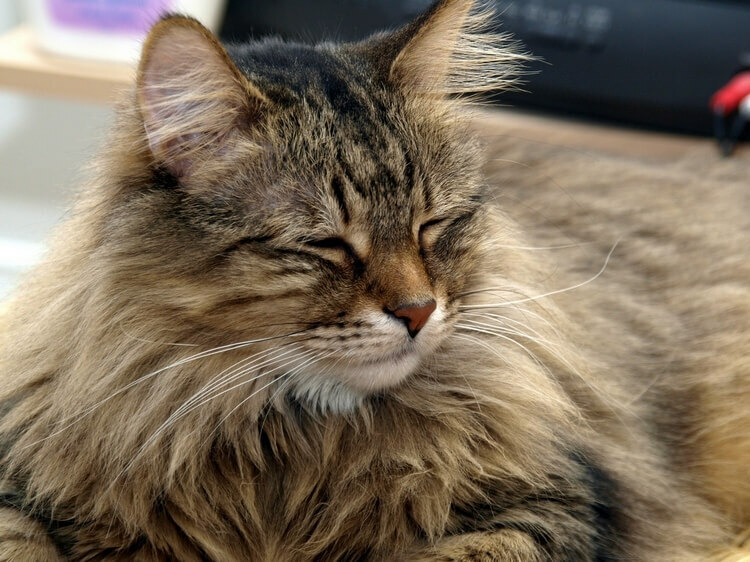 Pingback: Know Your Feline Companion: Why Do Cats Meow? Pingback: Are Cats Really “Untrainable”? Here’s How to Train a Cat!